moecommander - wisconsin Wear Like Iron !! Look Tough !! 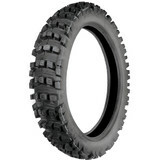 "Absolutely love the durability and looks of these tires. I have a side by side that burned the stock front tires off very uneven rather quickly. Four or five years ago I put CTX tires on the front and they still look like new. Just put new CTX on the back and it's pretty much unstoppable. 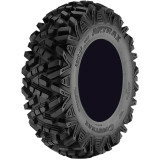 Needed tires on my Grizzly a so went with CTX. Not very smooth wide open down the pavement but other than that great tires." Kooosh - California Good in mud "Wears fast on pavement. 20 miles and it looks 20% gone. If you ride dirt only, it’s great. If you have to touch pavement, try something else."